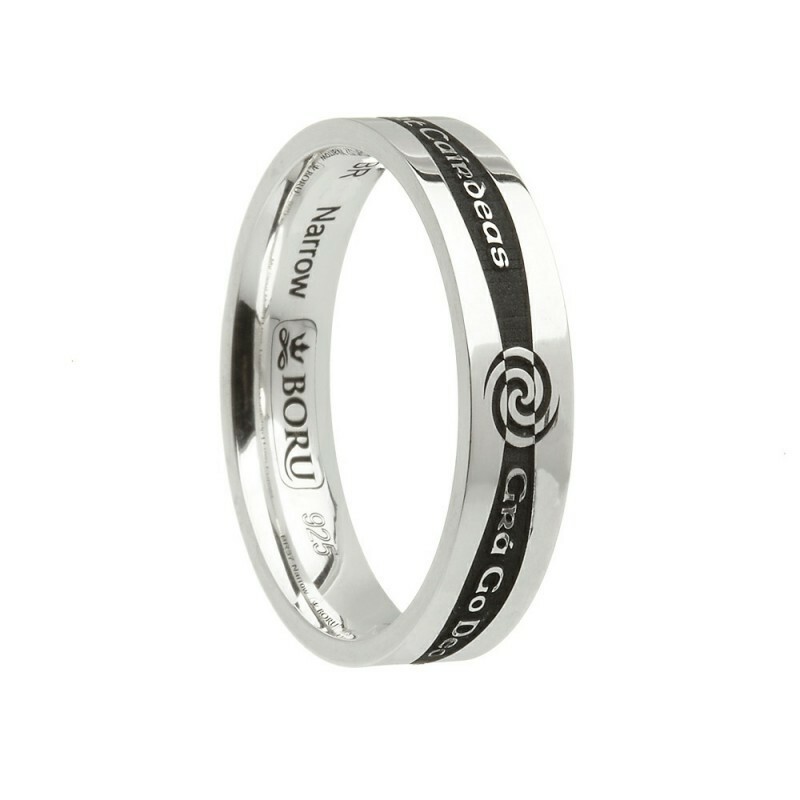 A contemporary commitment or promise ring. This Siorai Irish Promise ring is a narrow band ring. It is inscribed with the Gaelic - Mo Anam Cara (My Soul Mate), Gra Go Deo (Love Forever) and Gra Dilseacht Cairdeas (Love, Loyalty & Friendship). From Boru's latest contemporary Irish wedding ring range these rings have quickly become a favorite. The pattern, which continues around the band has been deeply etched into the precious metal and, on the silver version, the pattern has been oxidised. This is a unisex 'comfort fit' band meaning the inside of the band is domed for a more comfortable wear. A stunning commitment or friendship Irish ring. Width: 5- 5.2mm / Thickness 1.8mm. approx.